Surgical Pathology Laboratories is Florida’s largest provider of frozen section coverage for surgery centers and doctor’s offices. SPL also has a fleet of mobile labs that can come to your location. 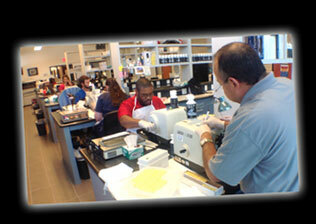 SPL is a CAP (College of American Pathologists) accredited laboratory. 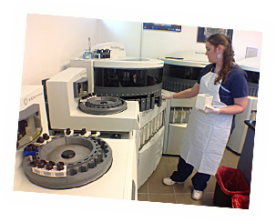 The accreditation program improves patient safety by advancing the quality of pathology and laboratory services through education and standard settings, which ensures CAP laboratories meet or exceed regulatory requirements. SPL has QC programs and processes that significantly improves quality and efficiency. Training. Surgical Pathology Laboratories has also participated in the training of histotechnologists, Mohs surgeons and medical students. SPL is very green conscience. We are in the LEED certification process with a solar powered private lab, in Pinellas County, Florida. LEED certification is an independent, third-party that verifies a building is environmentally responsible, profitable and a healthy place to work.